There is no longer any need to struggle with the cleaning of your Range cooker. Cornwall Oven Cleaning understand that your Range represents a sizable investment that you want to protect and therefore only use suitable professional cleaning products when undertaking this task. We only use specially developed non-caustic, non-toxic and biodegradable cleaning products, making them perfect to be used for the task of cleaning your Range and returning it to “as good as new” condition. 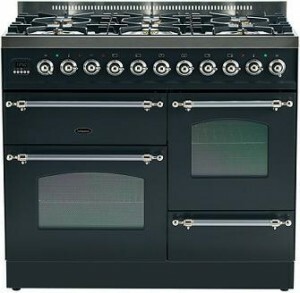 All Cornwall Oven Cleaning’s oven cleaners are professional trained to clean all makes and models of ranges and stoves. To see what our oven clean process involves please see our Oven Cleaning Process Page. We aim to respond to your email or phone message (if no one was available to take your call) within 3 hours and often a lot sooner.